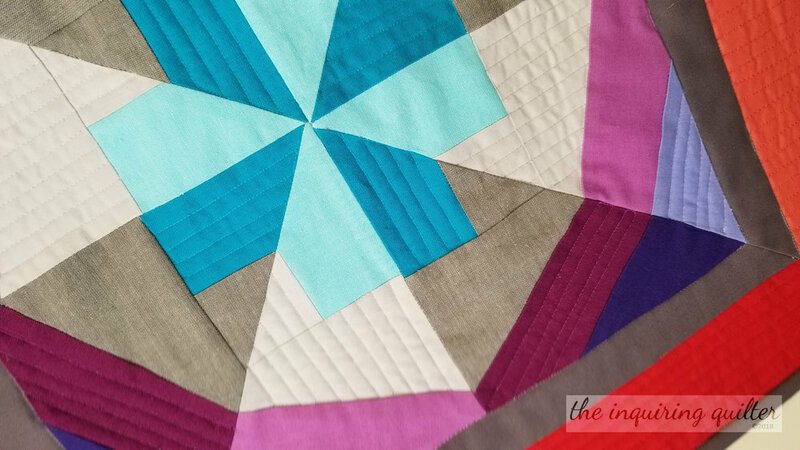 Welcome to my stop on the Modern Plus Sign Quilts Book Hop! 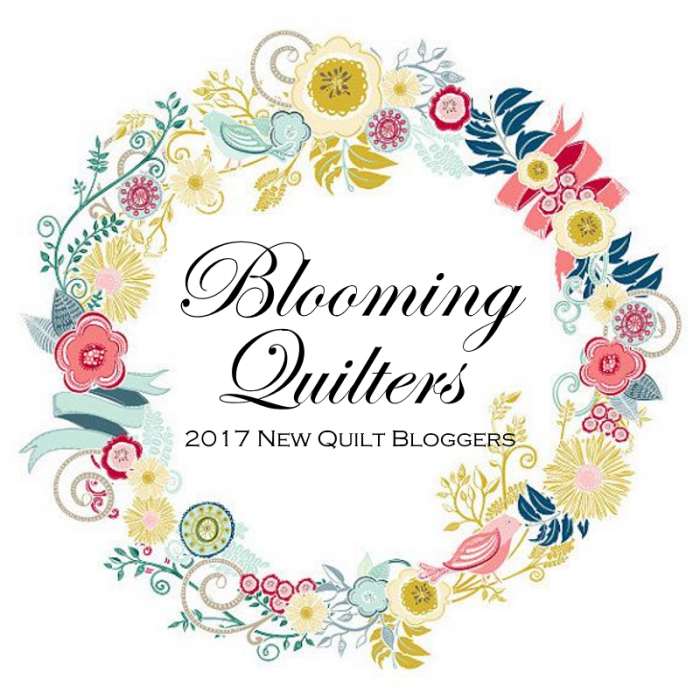 I've known the authors-- Cheryl @ Meadow Mist Designs and Paige @ Quilting Blooms--for some time, and I love their work. Cheryl hosted the New Quilt Bloggers for several years, and was extremely generous with her time and talent, and helped me on the road to becoming the quilt blogger I am today. 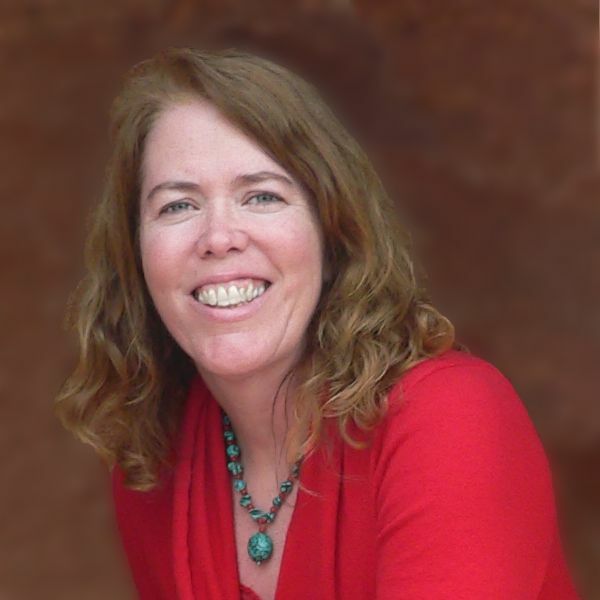 I'm lucky to call Paige a friend and to have her in my online bee, Bee Inspired. Paige is as talented a quilter as she is humble. I love them both and was thrilled when I was asked to participate in this hop. Photo courtesy of C & T Publications. Each day in the hop features two quilts from this wonderful book. 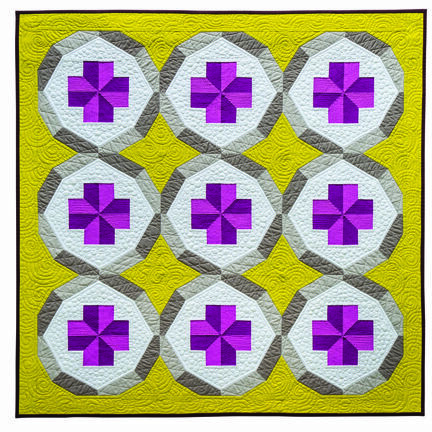 Today, the featured quilts are "Petal Plus" and "Faceted Rings." Each participant in the hop was asked to select a quilt and to make it--in any size, any colors, and with any changes we liked. I chose "Faceted Rings." Designed, pieced, and quilted by Cheryl Brickey. Photo courtesy of C & T Publications. I love Plus Sign quilts, so frankly it was hard to choose just one from the book but this one spoke to me. I loved it's dimensionality, and the interplay of the rings from block to block. 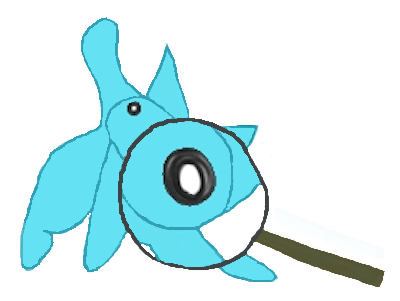 When I saw it I knew I had to make it. Like Cheryl, I chose to use solids in my version of Faceted Rings. Here's my fabric pull. No surprises here since these are some of my favorite colors. The original quilt is 40" x 40", but I knew that I wanted to make something smaller. So I played with the design a bit, changing the yellow and white background sections in the original to two colors instead of one, and adding some borders. Since what I loved about Faceted Rings was it's 3-dimensional look, I wanted to emphasize that with my color placement, dividing each triangle into light or dark. I call my version "On the Plus Side." I decided early on to quilt my version with straight lines. While quilting the plus sign in the middle of the block, I decided to try quilting every other section. That worked well I think, until I got out to the outer border. When I left the quilting out of the light coral sections, the quilt didn't want to lay as flat as I wanted. So I quilted the outer border entirely. On the back of the quilt, I used a butterfly print that combined most of the colors from the front. The print is by Joann Messmore for Cranston Print Works. Here are the quilt details. Here's what my color placement would look like in a quilt the same size as Faceted Rings. Seeing it like this, I think a single-color background like Cheryl's original quilt (for example, a solid dark blue background instead of the light and dark blue background shown here) would look better, although I like the effect of using two blues in my small wall quilt. The Faceted Rings block is paper-pieced and would be easy to sew even for a beginner because there are so few pieces. In addition, it would be simple to make the quilt larger by simply adding more blocks and even some borders if you like. There's a tutorial on paper-piecing (and the other techniques used in the book quilts) at the front of the book, so there's no reason not to give Faceted Rings a try. It's such a gorgeous quilt! You can purchase signed copies of Modern Plus Sign Quilts from Cheryl's Etsy shop, Paige's Etsy shop, or from Amazon. 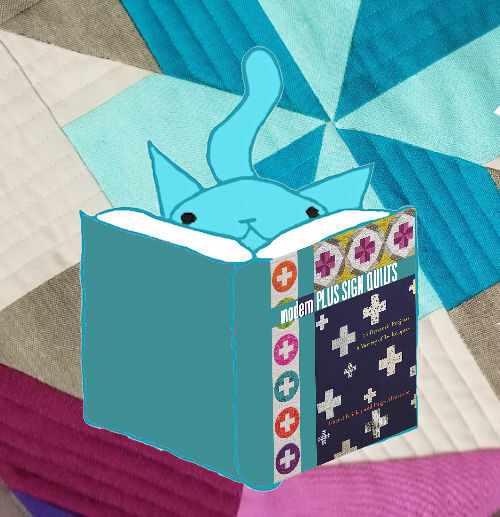 Here's the schedule for the Modern Plus Sign Quilts Book Hop. Be sure to visit Cheryl and Paige's blogs each day to enter their giveaways. To see our versions of the book quilts, visit the book hop participants. tell me...what colors would you use to make Faceted Rings?